Vegan Seed Crackers With Lots Of Goodness! 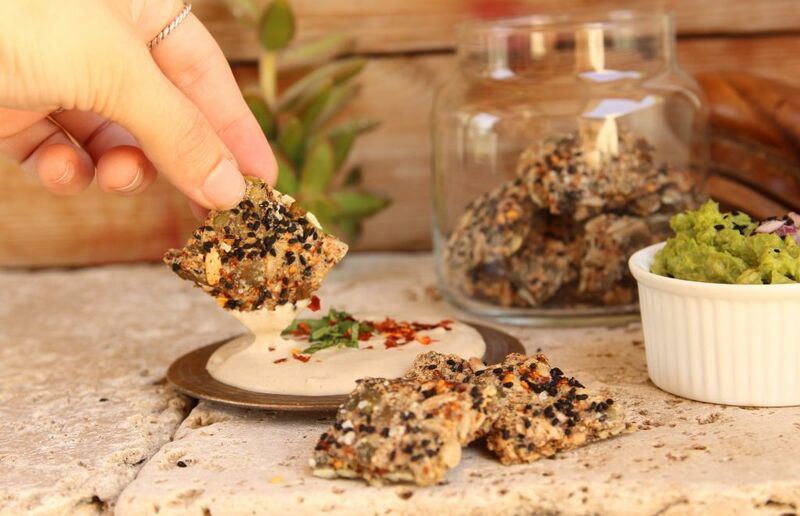 Snacking time is about to get a whole lot better, with these vegan seed crackers. They taste way better than store-bought crackers, and are healthier too. Plus, no need to spend hours in the kitchen, because these goodies only take 5 minutes to prepare. Preheat the oven to 356 degrees F (180 C). Mix the ground flax seed and water together in a bowl, then set aside. Place the pumpkin seeds, sunflower seeds, and whole grain oat flour into a separate bowl, along with half the nigella seeds, and give it a quick mix. Next, add the dry ingredients into the flax seed mixture, and mix well, until combined. Transfer your mixture onto a baking tray, lined with baking paper, and spread it out into a thin, even layer. Finally add an extra sprinkle of sea salt, along with the chili flakes, and the rest of the nigella seeds, then pop the tray into the oven for roughly 10 – 20 minutes, or until it starts to set. Take them out of the oven, and with a chef knife, or pizza cutter, cut into your desired size, then pop them back into the oven for an extra 5 – 10 minutes until they’re *firm. *Open the oven door, and carefully feel if they’re firm. If they’re still a bit springy, then let them bake a little longer. They store well, for up to a week, at room temperature, but will lose their crisp, after a few days, depending on how humid it is. So, when they do, just pop them back into a preheated oven, for a few minutes, to dry out again. Want another easy recipe to devour? 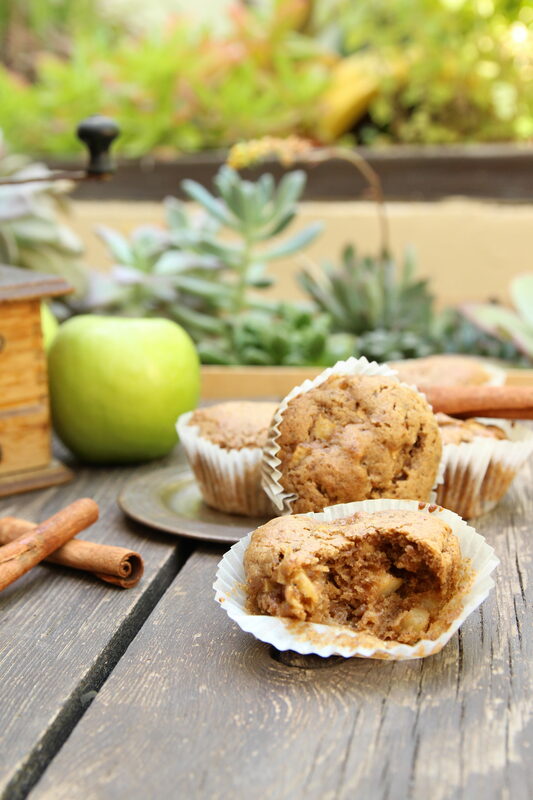 Try my moist, juicy, vegan, apple cinnamon muffins! ← The Ultimate Vegan Veggie Bowl! Well, what a coincidence – I’ve been thinking about making some crackers myself lately, as the only ones I can buy here seem to have milk in them (for some bizarre reason). I love nigella seeds! I use them on my naans and also as a decongestant and headache reliever (a trick I picked up when I lived in Morocco). Such brilliant stuff! These crackers look so special. You can see they’re made with quality ingredients! Wow, and the photo!! Oh brilliant. Love this idea. I keep thinking I want to make crackers, but it always seems a bit of a faff with the rolling and cutting out. Your method means I really don’t have an excuse. Have pinned. This is something I never make, but I really should. I love all the ingredients. So healthy too!